Essanay, 1915. Directed by Charlie Chaplin. Camera: R.H. Totheroh. With Charlie Chaplin, Ben Turpin, Agnes Ayres, Gloria Swanson, Leo White. Charlie goes to a film studio, the Lockstone, to get a job. He has a pleasant flirtation with a young girl in the waiting room. He finally gets to see the manager, walking over the prostrate body of another applicant (Ben Turpin), who tried to get to the door first. Charlie does not get hired, but he wanders through the studio and is spotted by a director. He is mistaken for a property man and put to work. The studio becomes a disaster area when Charlie brings in a piece of upright scenery. "A King's Ransom" is being filmed and the leading man has not arrived. Charlie is asked to rehearse his part. In a uniform too large, with a tremendous shako on his head and an unmanageable sword at his side, he blunders through his role as a romantic hero. He kisses the hem of the train of his leading lady with such prolonged feeling that he does not realize, nor does she, that he is holding her skirt in his hands while she has moved majestically to the top of the stairs. When the leading man arrives, Charlie is fired. The embattled studio, after a mad chase, will never finish "A King's Ransom." 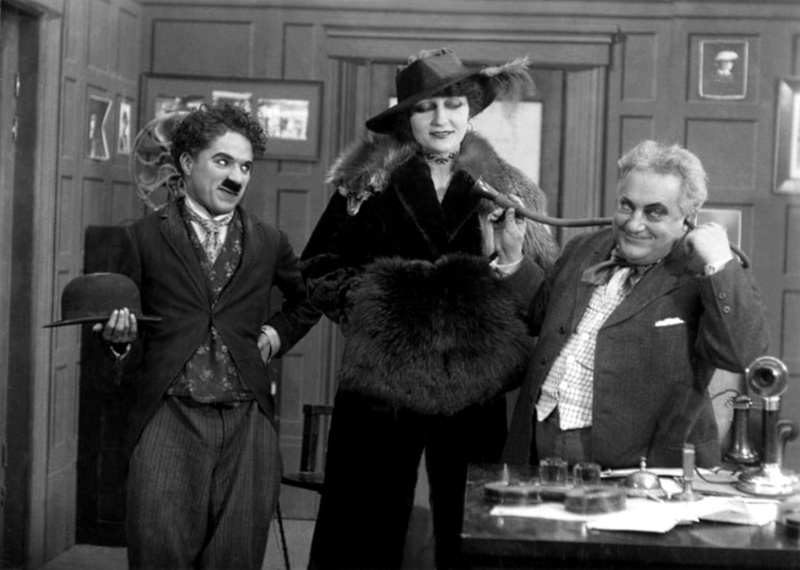 Chaplin's first film for Essanay was made in the Chicago studio and presents a fascinating but highly satirical glimpse of movie-making. Working without a formal scenario, much of the film's fun was impromptu. A playful jibe at Keystone was made obvious by calling the studio the "Lockstone." 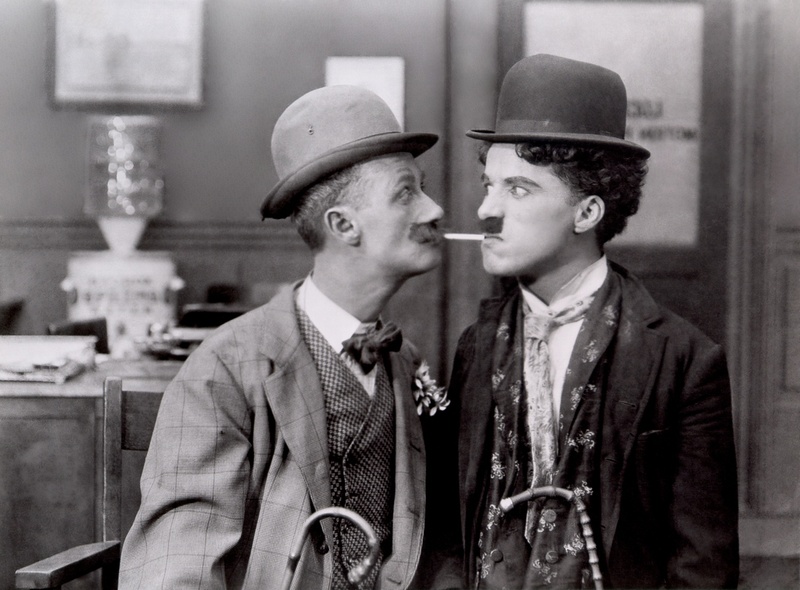 The photography for the film was done by Rollie Totheroh, then at the beginning of his forty-year association with Chaplin. The comedians who worked with Chaplin at Keystone were later to sing his praises. Ford Sterling, Al St. John, Charley Chase, Mabel Normand, and Chester Conklin, in recalling the old days, spoke of him with profound respect. And Mack Sennett was to say, "Charlie Chaplin is the greatest of all the artists who worked for me, so you know how much I regretted losing him." At Essanay Chaplin was first teamed with Ben Turpin and on the screen they made a wonderful pair. But Ben, alone among famous comedians, disliked Chaplin and considered him a snob. Chaplin was too exacting in his direction; he was reaching for something Ben was never to understand. Chaplin often exasperated him with his orders to "Do this, do not do that, look that way, walk like this, now do it over." In telling of his grievances some years later to Robert Florey (who described Turpin as a foul-mouthed vulgarian), Ben added, "Besides, I have since proved that I could work without him. I am now the star of Keystone, and my films make lots of money." 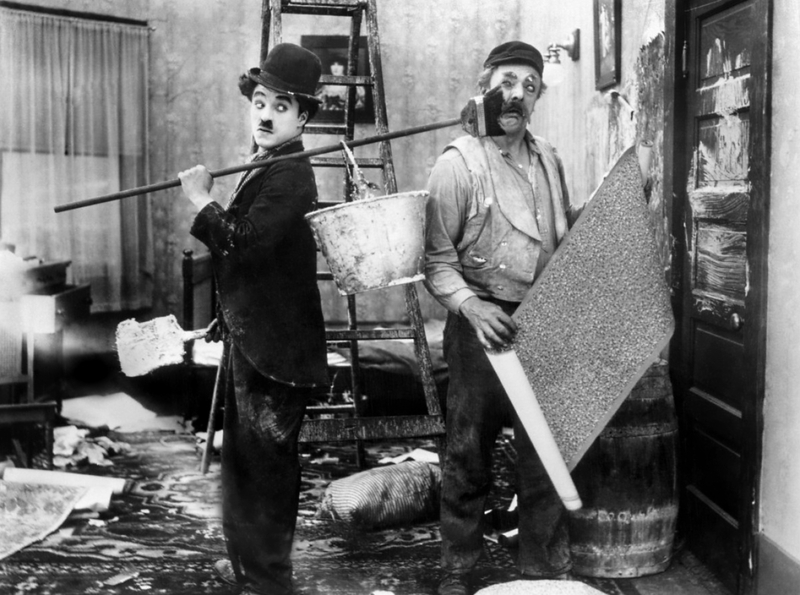 "It is absolutely necessary to laugh at Chaplin in ten-ninths of his antics in his disaster-attended search for a new job-the small point in which is evidenced the only irony in the picture." "There is probably no film comedian in the world more popular with the average picture theatre audience than that famous fun-maker, Charles Chaplin, whose services have recently been secured by the Essanay Company. The art of Charles Chaplin defies analysis, and disarms the critic. Just why he is so funny, it is almost impossible to say, and very probably he could not tell you himself. He possesses a naturally comic personality and its humor is accentuated by the originality of the innumerable bits of "business," with which his work is so profoundly interspersed. Scarcely a moment passes while he is on the screen, but he is up to some wild piece of mischief or committing some ludicrous folly. And perhaps the funniest thing of all is his own complete imperturbability. Whilst those all around him are rolling in an agony of mirth at his extravagant blunders, he himself pursues his course unmoved, with an air of mild detachment and stolid indifference. Good humorists never laugh at their own jokes. They realize the value of apparent seriousness. And, in the same way, Charles Chaplin remains emotionless, and even absent-minded, in the very midst of his maddest escapades."